COMPETITION: Want to win a boxing glove signed by Mike Tyson? Brought to you by Superheroes and Gangsters. We'd all secretly love to own a tiger like Mike Tyson in The Hangover. Failing that, one of the next best things is a boxing glove signed by the man himself. Well, it couldn't be easier to pick up this coveted piece of boxing memorabilia. Irish-owned hip-hop label Superheroes and Gangsters are launching their own YouTube channel and they're giving away a signed glove to one lucky winner to mark the occasion. Their channel is called S&GTV and it will promote the work of their artists. All you have to do to enter the competition is to subscribe to the new channel and leave a comment below the above promotional video. It seems only fitting that the Las Vegas-based outfit would choose another Vegas icon to promote their new station. Long before he was famous for documentaries about pigeons and cameos in The Hangover, "Iron" Mike Tyson was the most terrifying heavyweight on the planet. 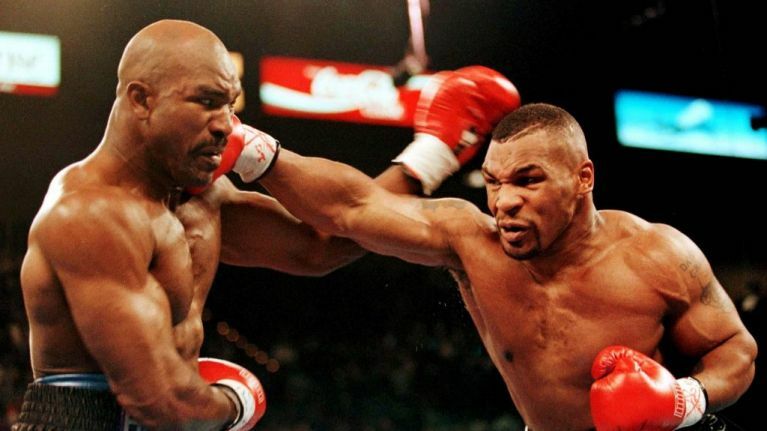 "Once I'm in the ring I'm a god," Tyson recalled in his eponymous documentary. "No one could beat me. I walk around the ring but I never take my eyes off my opponent. Even if he's ready and pumping, and can't wait to get his hands on me. I keep my eyes on him. I keep my eyes on him. Then once I see a chink in his armor, boom, one of his eyes may move, and then I know I have him." Yikes. On the bright side, you don't need to fight him to get a signed glove. So there's no excuse not to enter! For more information on Superheroes and Gangsters, check out their Facebook and Instagram page.